The Framework, developed and approved by the board of trustees, includes statements of mission, vision, core beliefs, commitments and values. The Scorecard, also developed and approved by the board of trustees, includes several performance indicators with reported data and targets. The Scorecard indicators are grouped by the core beliefs, and are balanced between educational, community, staff and resource perspectives. A Scorecard report will be provided annually. 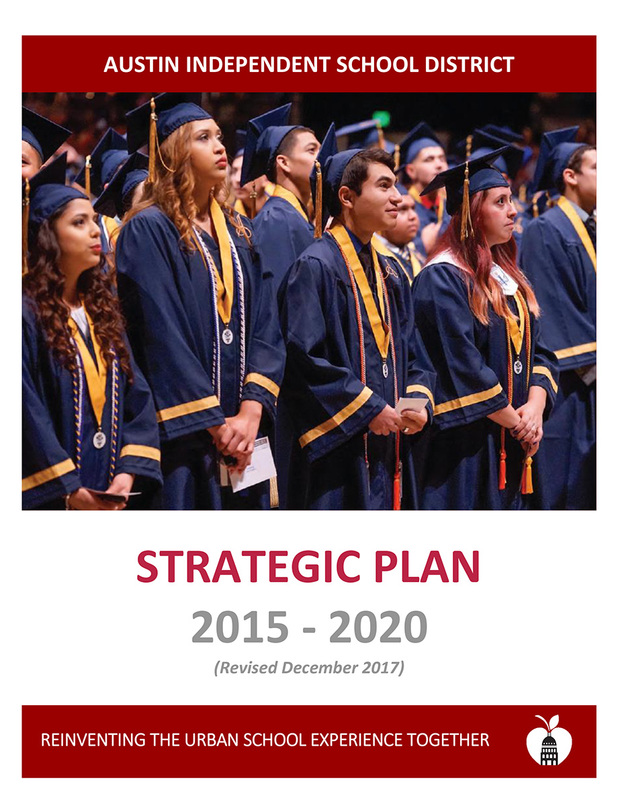 The Five-Year Implementation Plan, developed by the administration, includes strategies and several key action steps, grouped by the commitments. Status reports on the key action steps will be provided periodically. The Strategic Plan will be reviewed annually to ensure that it remains current and squarely focused on the needs of the district. District advisory bodies will provide input in this annual process. The AISD Board of Trustees will either reaffirm the framework and scorecard or make revisions. Likewise, the administration will either reaffirm the five-year implementation plan or make revisions. Other district plans, including the budget, campus improvement plans, and departmental plans, will show alignments to the Strategic Plan. In addition, agendas of the board of trustees and the district advisory bodies will show alignments to the Strategic Plan.